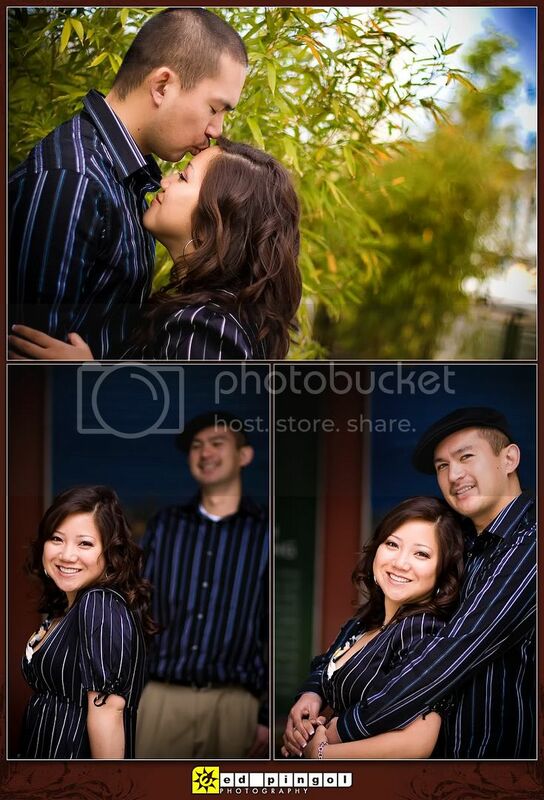 lorajean & phillip are such a stylish couple! 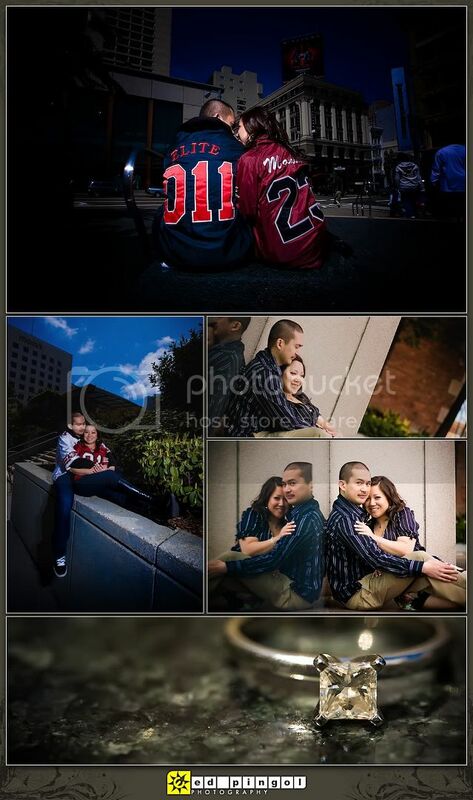 their outfits might be one of my faves of all e-sessions! this adorable duo met in college, while attending what was then called csu hayward (and is now csu eastbay). 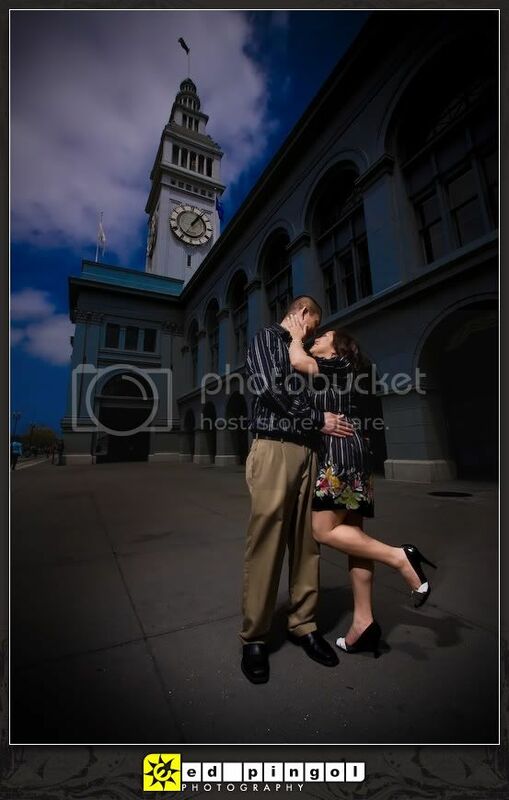 we began the session at the embarcadero in san francisco, when the clouds just began to part on that sunday afternoon. 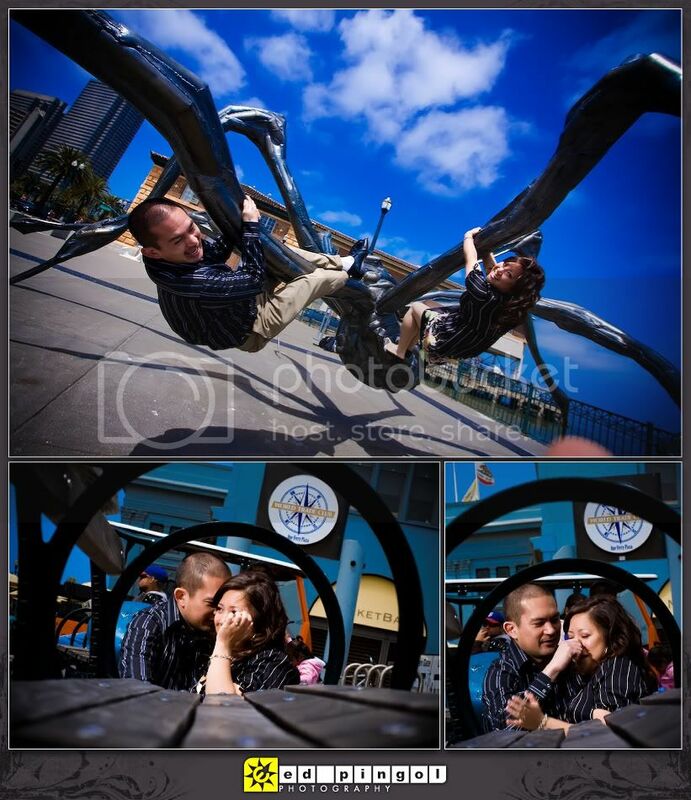 we'd always seen this random spider sculpture titled "crouching spider" and decided to have some photographs of lorajean & phillip there. brave as they are, they were willing to climb up the spider for some goofy photos! afterwards, we headed over to union square, which was abuzz with spring festivities, including singing and dancing performances. lorajean loves to shop so this was a fitting location for their e-session. 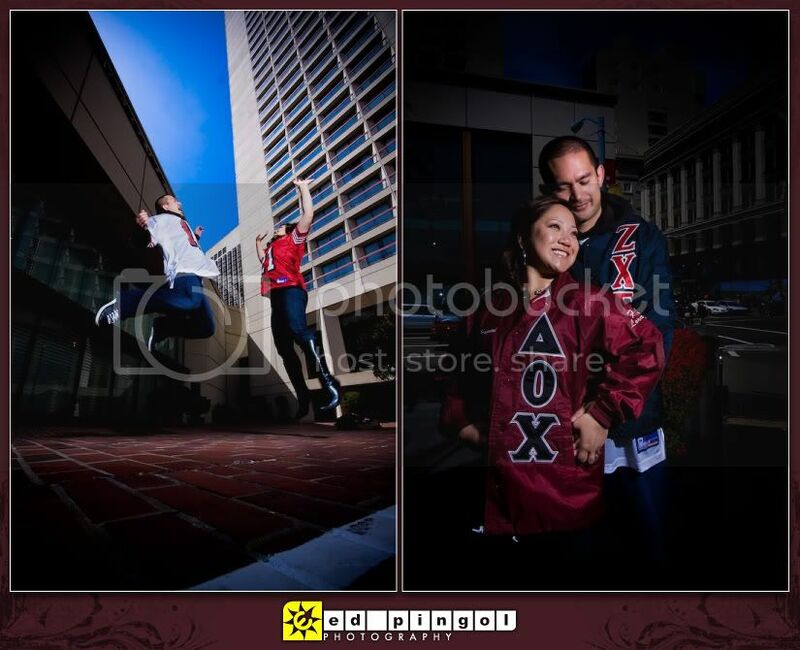 here, they decided to sport their niners' gear and and fraternity and sorority letters. congratulations on your engagement, lorajean & phillip! we're so excited for your wedding in the fall!